REGENT PARK NEW “FRIENDLY FUZZ” | TORONTO'S FIRST "Cop Watch"
Please meet officer Waugh. A former resident of Regent Park. 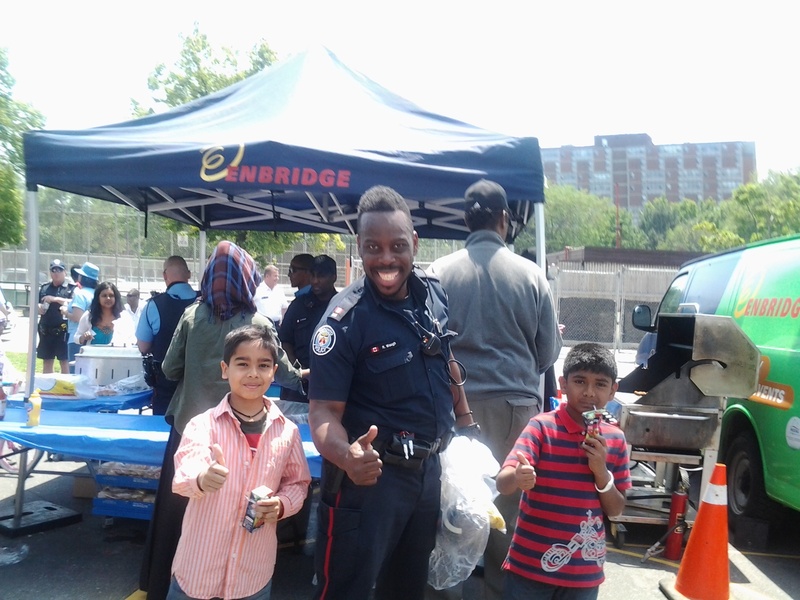 Now a T.P.S officer working closely with the Community. He is my hope that good things will come to residents of Regent Park. I have admiration and respect for Mr Waugh I sincerely wish him all the best while assigned for our Community.. He reminds me of a former officer by the name of Robert “Bob” Caughill, a.k.a “friendly fuzz” worked tiressly with the youth of Regent Park in the 70’s Mr Waugh you have big shoes to wear.. He is from 51 Division. We will we watching your work in the community with great expectation.